Daniel, along with other young men from the nobility of Israel, were chosen for their good looks and talents and taken to Babylon to serve in King Nebuchadnezzar’s court. The Babylonians did not observe the Jewish food laws nor prepare ‘kosher’ meat (Lev. Chaps. 11 & 17). 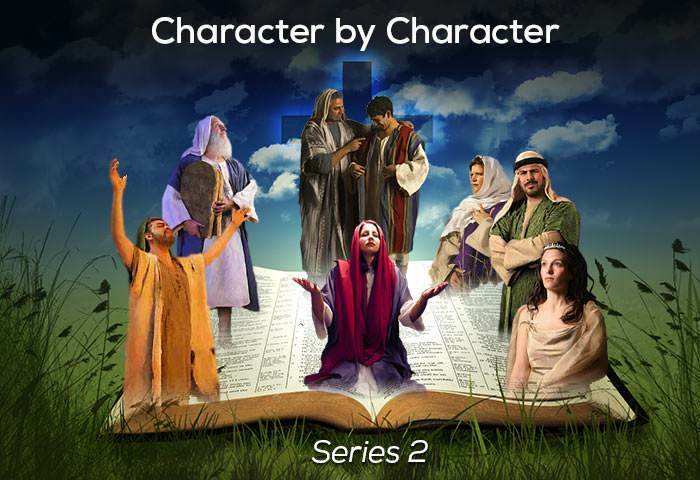 Daniel and three of his companions decide not to compromise their religious beliefs by eating the food provided by the king, and request a vegetarian diet. The courtier in charge of them becomes alarmed at their request until Daniel suggests a ten-day trial in which he and his companions eat vegetables and the others eat meat. At the end of this period of trial, Daniel and his companions appear wiser and healthier than the others. 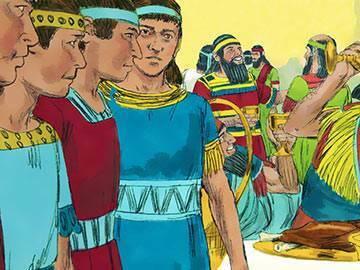 How easy it would have been for Daniel to have stubbornly refused to eat the king’s meat, and forced an unnecessary confrontation. Wisdom dictated a better approach—that of designing a creative alternative. Do you feel you lack wisdom? Then read James 1:5 to see how to obtain it. Not long after Daniel and his companions take up their court duties, they are faced with a severe test. 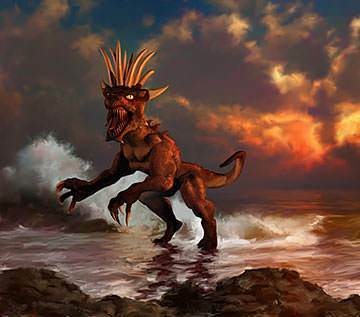 King Nebuchadnezzar has a dream which greatly troubles him—a dream which no one can interpret. Angry at their inability to explain his dream, the king pronounces the death penalty on all his wise men, including Daniel and his friends. Daniel acts with prudence and discretion toward the captain of the king’s guard, who is sent to carry out the death sentence, and is permitted to see the king. As Daniel talks with the king, he is given supernatural understanding of the dream, and interprets it to the king’s satisfaction. 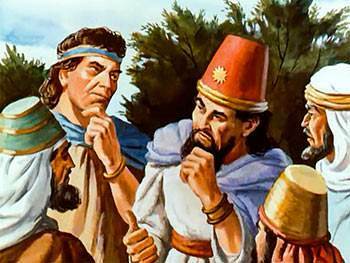 Daniel is then appointed as the chief over all the wise men of Babylon. 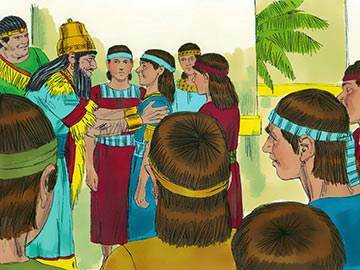 Daniel was deeply thankful to God for imparting to him the wisdom by which he could interpret Nebuchadnezzar’s dream. How much more should we be thankful to God for making known to us His plan of salvation—a plan which no amount of earthly wisdom could ever have conceived! 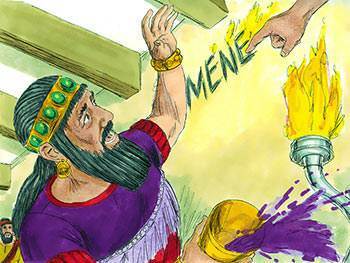 King Nebuchadnezzar has another dream, and when his Chaldean interpreters fail to interpret it, he sends for Daniel and acknowledges that the Spirit of God rests upon him. On hearing the dream and simultaneously receiving the interpretation from God, Daniel is alarmed because the dream predicts the king’s temporary madness. Daniel breaks the news as sensitively and as tactfully as he can, and advises the king to repent and live righteously so that God’s judgment upon him might be suspended. 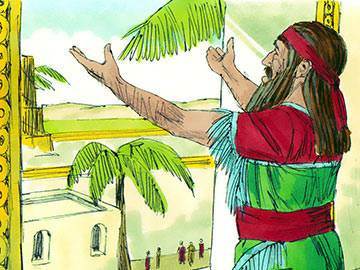 The king ignores Daniel’s advice, and a year later, judgment falls when he is dethroned and expelled from his palace to live in the fields and eat grass like an ox. 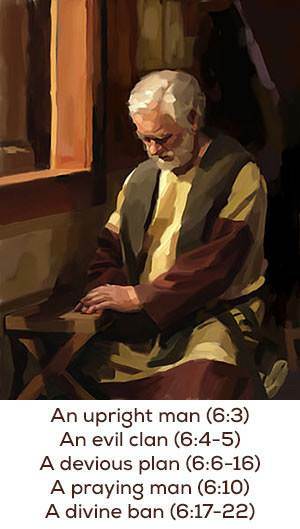 When later his reason returns, he is greatly humbled, acknowledging that Daniel’s God is the true God. Pride and conceit are sins that beset great men. They are apt to take the glory to themselves rather than give it to God. It is helpful to remember that while the proud word was in the king’s mouth, the powerful word came from God. It always does! Belshazzar, the son of Nabonidus, decides to hold a great feast in the city of Babylon, and in the course of the preparations does something which greatly displeases the Lord. 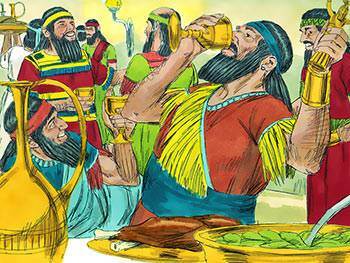 He calls for the sacred vessels which Nebuchadnezzar had brought from the Temple in Jerusalem to be set on his table so that his lords and ladies might drink from them. This sacrilegious act brings about a supernatural intervention. During the course of the feast, a hand appears which writes a message upon the wall of the banqueting chamber. When the terrified king calls for Daniel to interpret the writing, he is told that God’s judgment is about to fall upon him. 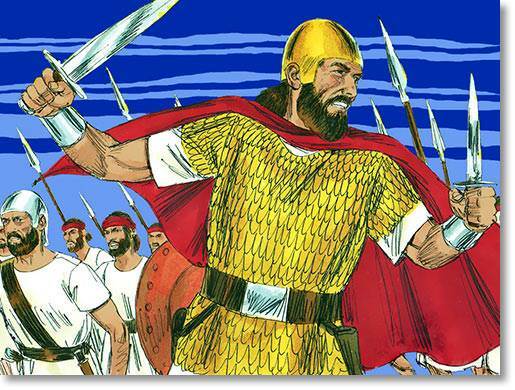 Sentence is carried out the same night, when Darius invades the city and Belshazzar is put to death. Ponder for a moment what might happen if you were picked up and weighed in the scales of God’s justice. How would you fare? If Christ is resident in your life then you need fear nothing, for the weight of His righteousness more than outweighs the demands of the law. Hallelujah! 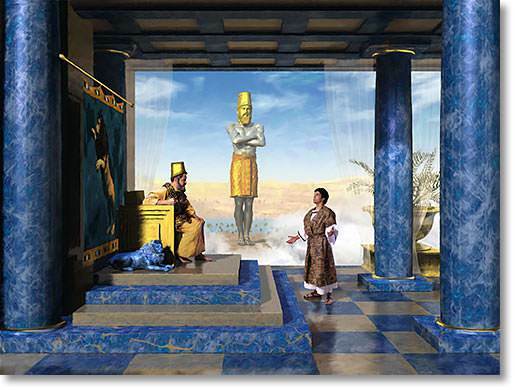 Darius is now king of Babylon, and Daniel is in his eighties. 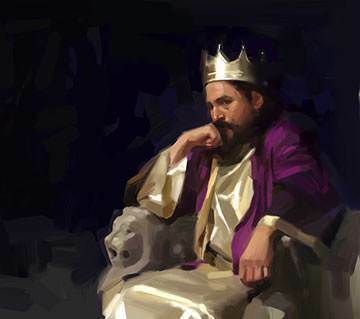 The king thinks so highly of Daniel that he plans to appoint him to a position of high authority, second only to himself. Those answerable to Daniel become extremely jealous of him, and attempt to find some fault in him that they can report to the king. Unable to do so, they work on the king’s vanity and get him to make a decree which forbids the worship of any other god or man except Darius. 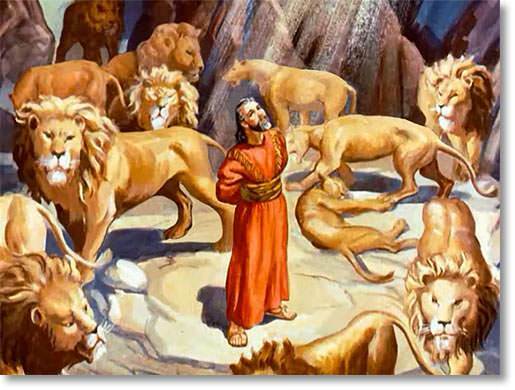 Naturally Daniel refuses to accept this decree and openly prays to God, whereupon he is thrown into a lions’ den. 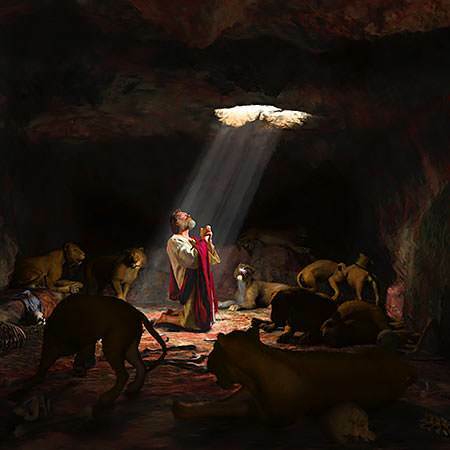 The whole situation causes the king great distress, but he is consoled when, after a sleepless night, he visits the lions’ den and finds Daniel alive and unharmed. Remember what we said earlier about Daniel’s wisdom in avoiding an unnecessary confrontation? In relation to the matter of prayer, however, there can be no creative alternative—confrontation is unavoidable. But knowing when to confront, and when to design a creative alternative, is what wisdom is all about. Daniel is given several visions which relate to the events which will happen in the future, including the setting up of God’s Kingdom on the earth. The archangel Gabriel is sent to assist Daniel—a man “greatly beloved” (9:23)—to explain and interpret the visions. The visions which Daniel received have one main purpose: to impress upon men’s minds the fact that all power belongs to the Most High, who permits empires to rise only as they contribute to His overall purposes. Gabriel names the world powers from Babylon up until the coming of God’s Kingdom on earth—pictured in an earlier vision as “the stone cut out without hands”. Many believe this refers to the coming of Christ, who will arrive in the days of the ten kings (Dan. 2:44-45). What do you believe about the Second Coming of Jesus Christ? Do you believe it is near? Many do. Remember, however, that the whole point and purpose of prophecy is not to alight on a date, but to encourage us ever to be ready for that wonderful event. 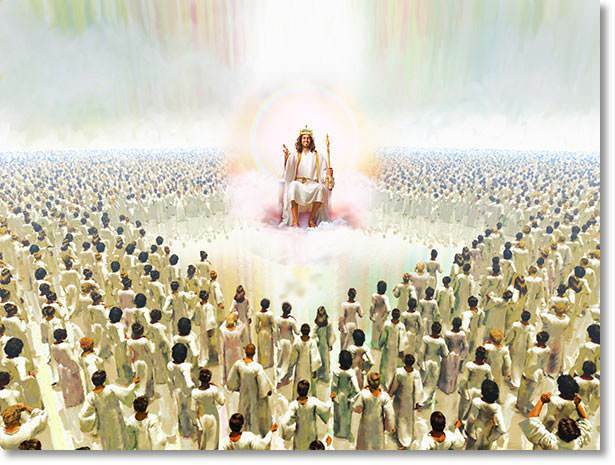 Would you be ready to meet Him if Christ came today? Daniel was, above all things, a man of prayer. 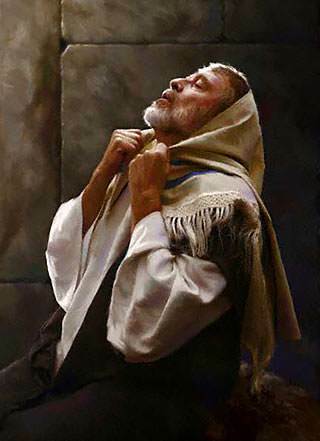 He turns to the Lord and applies himself to prayer and supplication with fasting, putting on sackcloth and ashes. In his prayer he confesses the transgression of his nation, acknowledges the justice of divine punishment, and seeks God for mercy and restoration. The prayer is composed largely of reminiscences from Deuteronomy, the prayer of Solomon and the prayers of Jeremiah. As he mourns and fasts, Gabriel once again appears to him to comfort him and reveal further details of the future which awaits God’s people and the world. 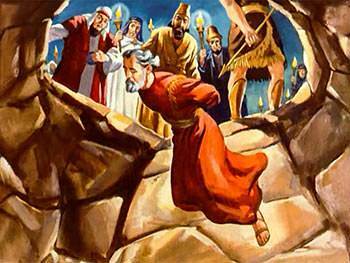 Many of Daniel’s prophecies reappear in the book of Revelation, where similar imagery is employed. This great prayer of Daniel’s was prompted by his diligent reading of the Scriptures. And what a prayer it is! You just can’t tell what depth of prayer you might reach after meditating in the Word of God. If you can—after your reading today—spend some time in prayer. Maybe you will reach deeper depths than ever before. The key to Daniel’s truly successful and prosperous life can be traced to an important decision he made as a young man: “Daniel resolved that he would not defile himself” (Dan. 1:8, NIV). His faithfulness to that early decision can be seen on at least four important occasions. Daniel is the only man in Scripture—other than our Lord—who was called ‘beloved’ in a message sent from heaven (compare Dan. 9:23 with Matt. 3:17). His record is without blame. Just as Pilate had to proclaim concerning Jesus, “I find in him no fault” (John 18:38, AV), so Daniel’s accusers could find no blame in him (Dan. 6:4). The main lesson we learn from Daniel’s life is the importance of being aware that God is watching and evaluating every one of our words, thoughts, actions and attitudes. This awareness enables us to always keep our spiritual standards high.